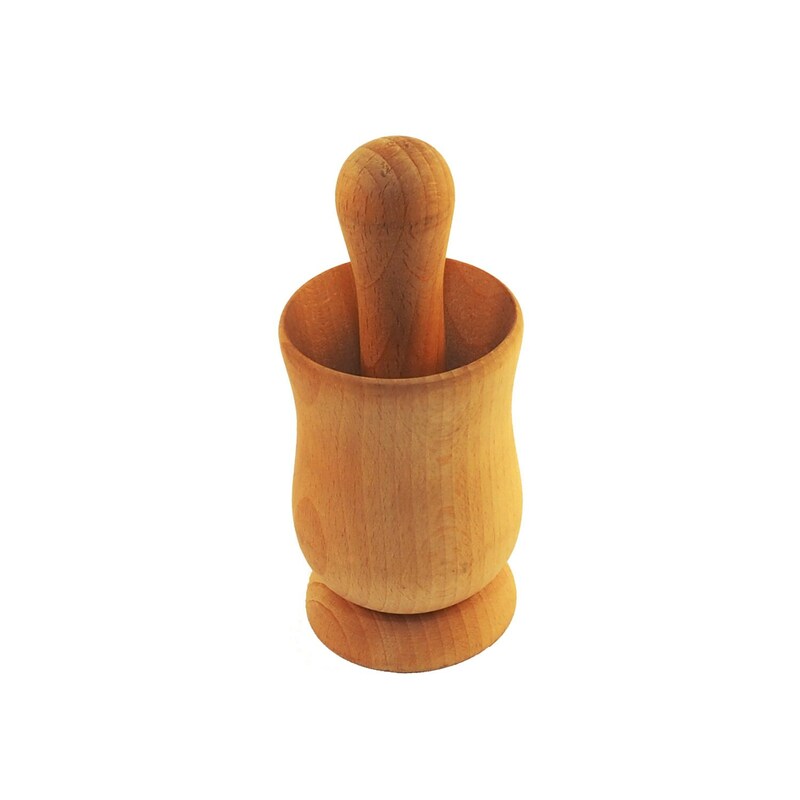 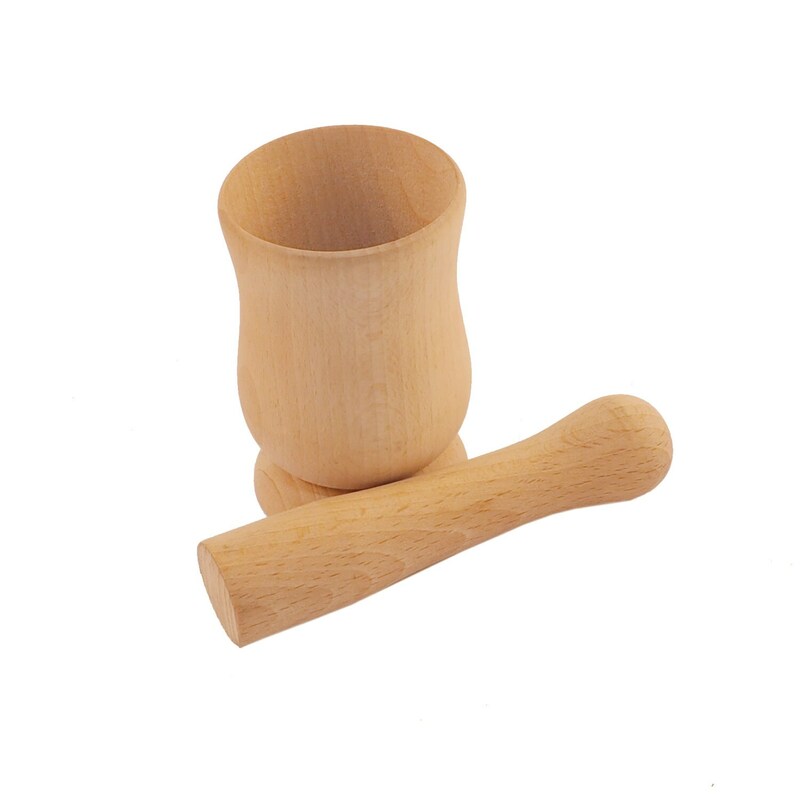 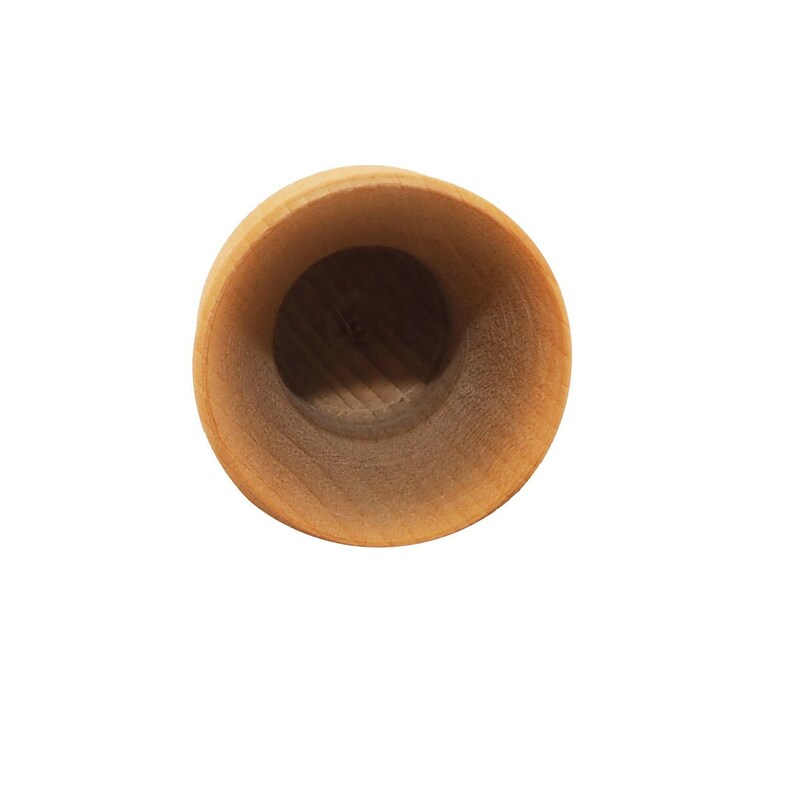 Hand turned mortar and pestle, ideal for grinding up spices to add intensity to your dishes' flavor. 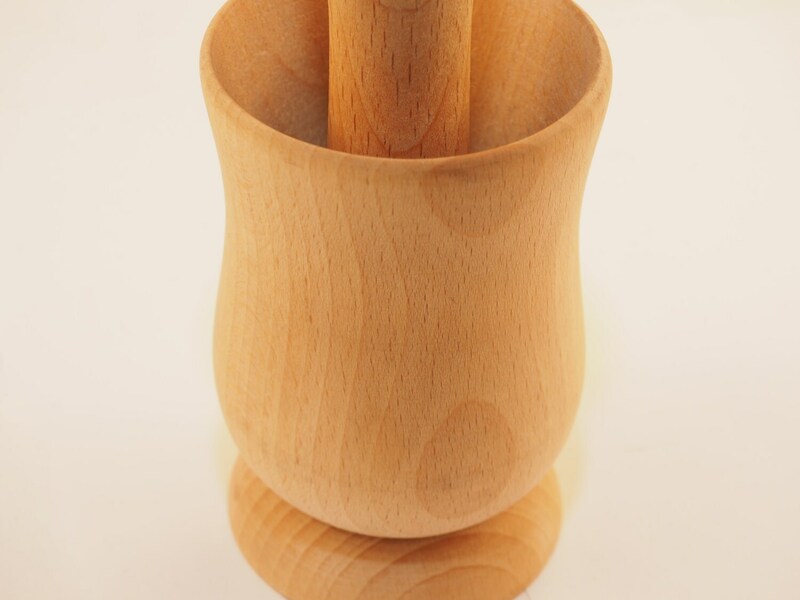 Carved and lathed to smoothness. 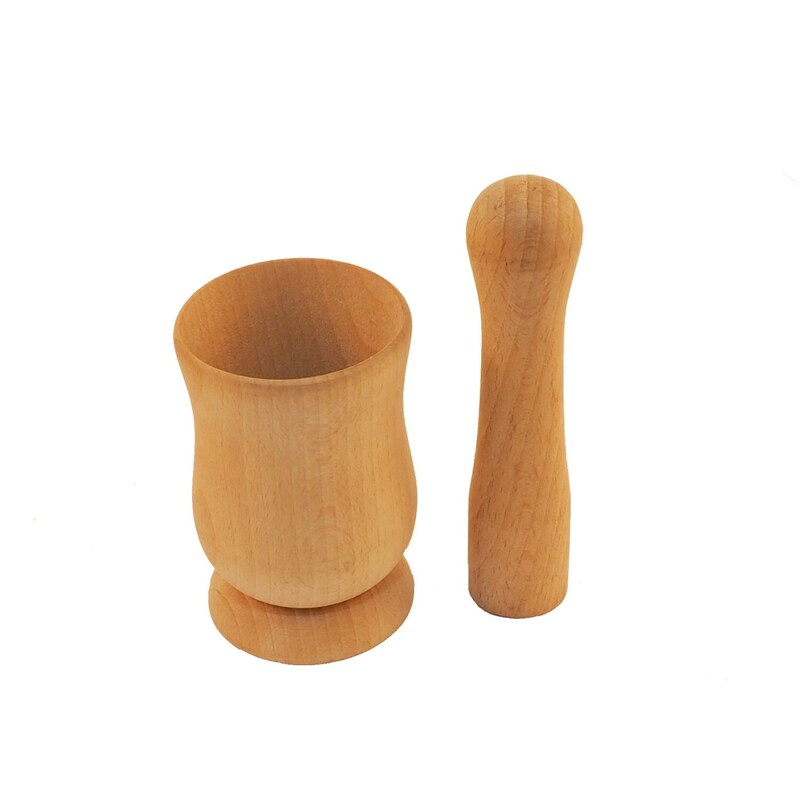 height: 17 cm - 6 3/4"
diameter: 7 cm - 2 3/4"
pestle: 15 cm x 3 cm - 6" x 1 1/4"
mortar height: 11 cm - 4 1/3"
Contact us if you want to commission a customized version of this item.